Here at Truman State University, we intend to document all of our efforts for the future and provide as much up-to-date information as possible to our community and beyond. One way of providing this service is through the Dr. Arnold Zuckerman Digital History in Sustainability Internship at Truman, which provides one student a year a chance to not only research and digitize information, but also to maintain this website. If you are interested in applying for this internship in the Spring, please submit your application through TruPositions. If you would like more information on the internship, please contact Donna Liss, email: dliss@truman.edu. 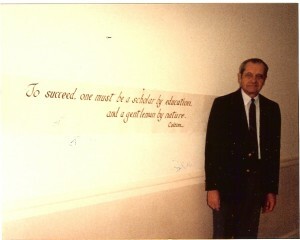 Dr. Arnold Zuckerman was a history professor at Truman from 1963 to 1990. He was a member of the American Association for the History of Medicine, the American Society for Eighteenth-Century Studies and the American Association of University Professors. 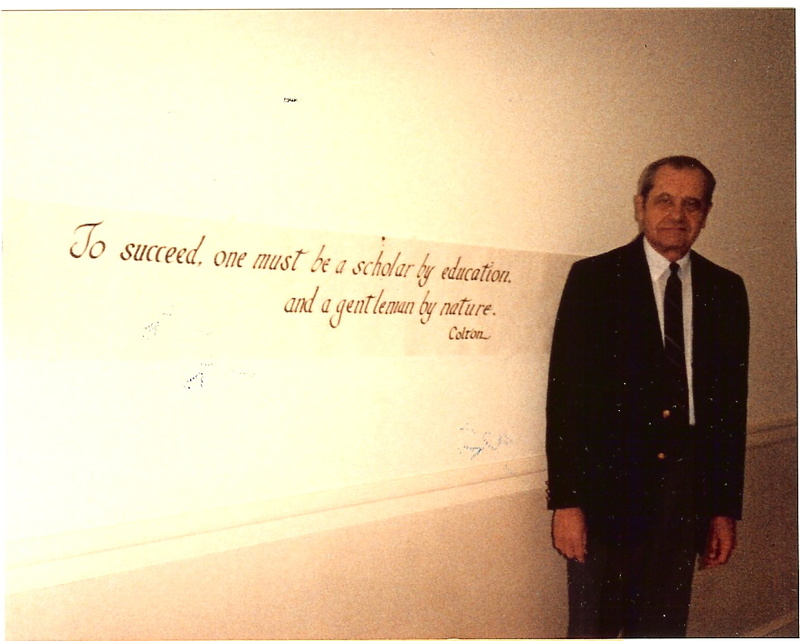 He had his undergraduate and master’s degrees from DePaul University and a Ph.D. from the University of Illinois. Loved and cherished by his community, Dr. Zuckerman received letters from students he had inspired up until the day he passed away in 2008. 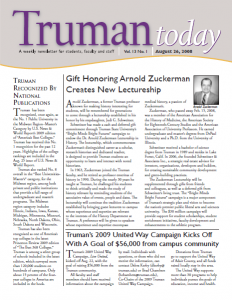 This internship was originally a lectureship, whose effort was to bring speakers to Truman that would honor Dr. Zuckerman’s legacy. 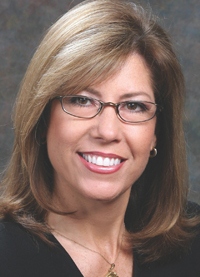 Judi Schweitzer, Dr. Zuckerman’s stepdaughter, received a bachelor of science degree from Truman in 1989. In 2006, she founded Schweitzer & Associates, Inc., a strategic real estate advisor for investors, organizations, developers, and builders, for creating sustainable community development and green-building practices. In December of 2014, Judi decided she would repurpose the lectureship into an internship, which would tie together both her and her stepfather’s interests. The internship now encompasses both history and sustainability, all centered around the place that they both cared about so deeply—our university. 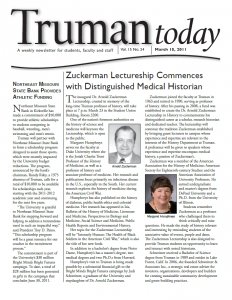 For more information about Dr. Zuckerman and the original lectureship, the following document PDFs have been provided. click here to see Haleigh’s Introduction Post. Click here to see Josh’s Introduction Post. Highlights: Rebecca wrote an instructional handbook, the application document, and created other logistical resources to be utilized by future interns. Click here to see Rebecca’s Introduction Post. Highlights: As the first intern, Tyler worked hard to provide all of the necessary online framework needed for future interns, including the interactive timeline. Click here to see more information about Tyler’s work.